It’s a common scenario. You haven’t gotten an email in an hour, not even that really important email you were expecting from your spouse/co-worker/parent/pet. Your email seems to be down, but what exactly does that mean? Unfortunately, there are a myriad of reasons why you may not be getting your email. Could be a problem on your end. Could be a problem on the sender’s end. Or it could be the dreaded “server issue.” The good news: It usually is a server issue. And there’s an easy way to tell, if you use one of the more popular email providers. 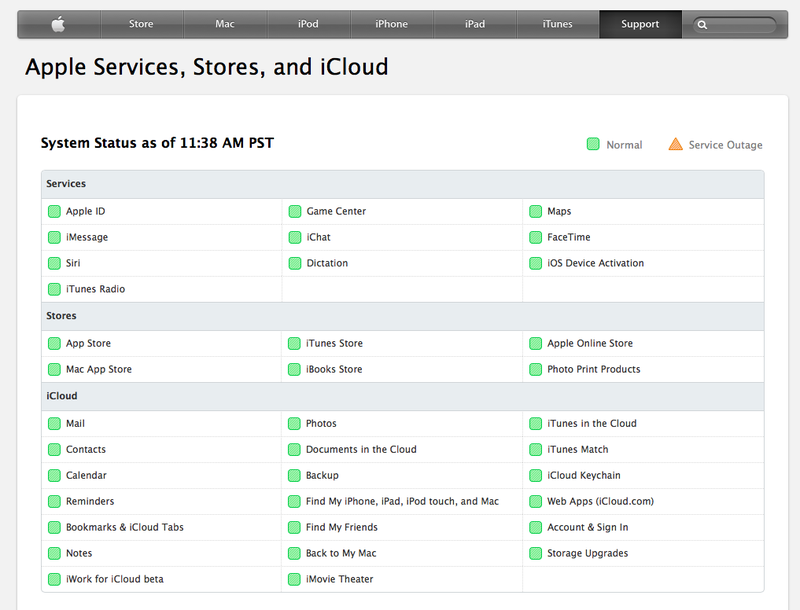 As you can see from the above screenshot, that’s an easy way to see the status of any Apple online service. 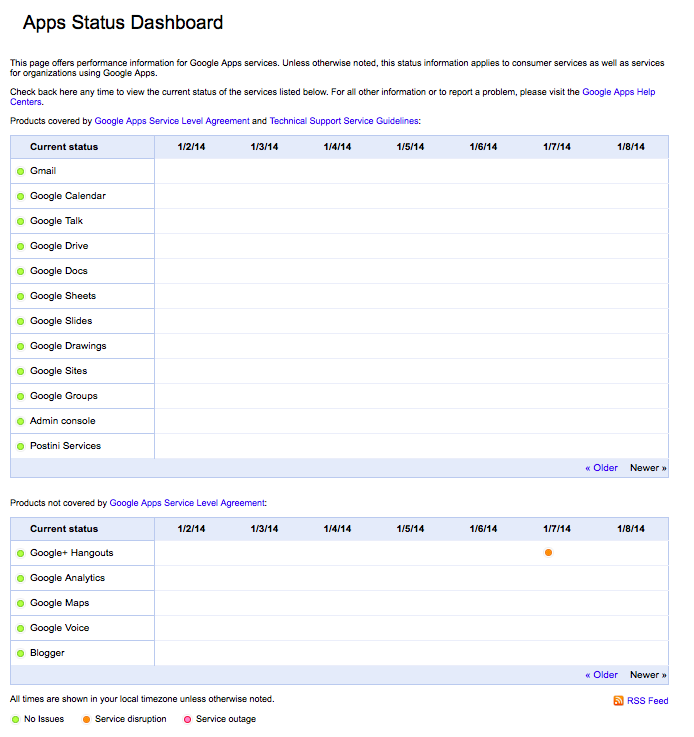 Yahoo, sadly, does not have such a status page. If you use a different email service, check the support page on their website, you might see a similar screen that’ll keep you informed should they ever experience a problem on their end. And what do you do if you’re not getting your email and you see that your provider is having server issues? You wait. Don’t worry, your email will get to you. Eventually. 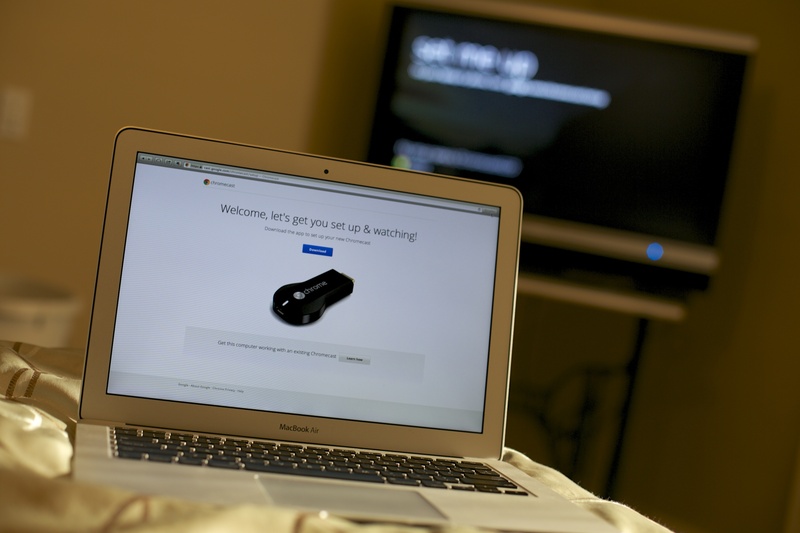 Review: Google Chromecast — Google’s most Apple-like product yet? 72 hours ago, “Chromecast” was just a good name for a podcast on hood ornaments. Now it’s the “it” item in the tech world, selling out online within a day (though I had no problems walking into Best Buy today and walking out with one — they had plenty in stock). In my “premature thoughts” column three days ago, I had tempered enthusiasm for the product. I knew it wasn’t going to outright replace the Apple TV in my media room nor the PS3 in my family room (my current online streaming devices) simply because the Chromecast didn’t offer any groundbreaking new features not found in either of those devices. But that’s not necessarily a bad thing. Not having a whole lot of new features is okay if the things it does do, it does really, really well. 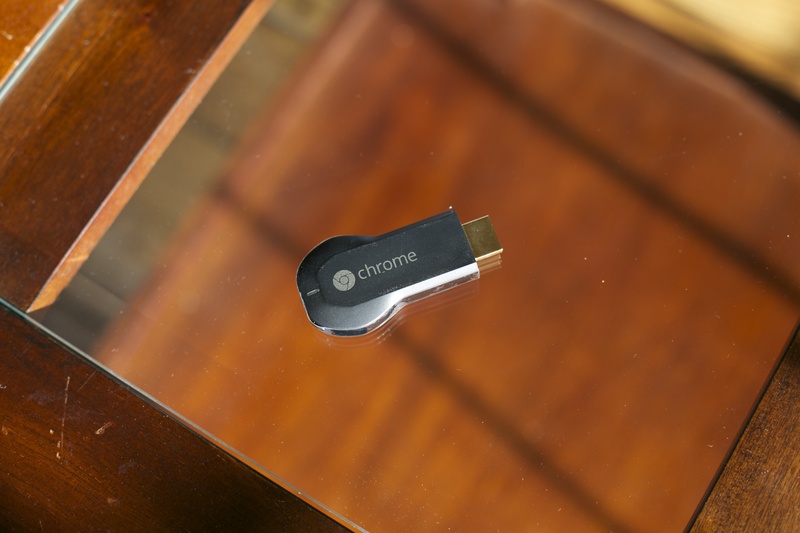 In this way, Chromecast might just be Google’s most Apple-like product yet. Apple is the king of streamlining devices, taking away features that offer more clutter and confusion than practicality. Particularly in the Steve Jobs era, if Apple felt like there was a better way of doing something, they just did it, and without giving people the option of continuing to do things the old way (for better and for worse). In this regard, Chromecast feels like a play right out of the Jobs playbook. Google’s bread and butter is in the cloud. 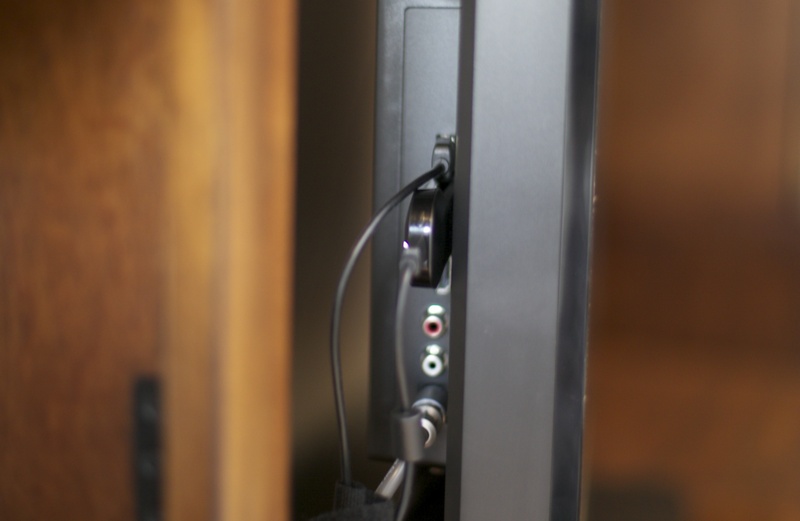 Chromecast is built to access that cloud faster and easier than any other streaming device. 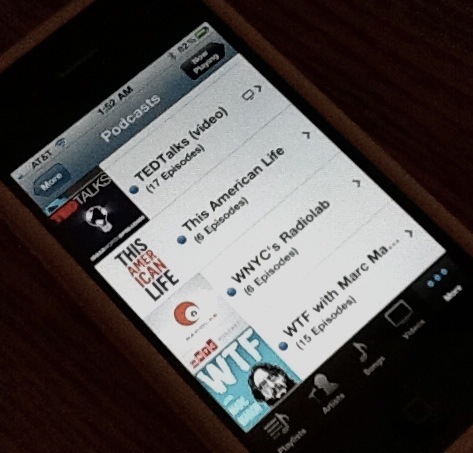 Locally stored media is an afterthought (and in the case of accessing media stored on your phone, it’s not a thought at all — there’s no way to do it). Does Google care? Nope. Like Apple, they’re betting on what you’ll want to do tomorrow, not what you want to do today. All that said, it’s still a piece of brand new technology. Results will vary. So how did it actually work for me? I didn’t buy the product just to review it. I bought it wanting to keep it. Specifically, I wanted it for my bedroom, which currently has no way to access Netflix (or any other online streaming service, for that matter). The bedroom TV is ANCIENT for a plasma HDTV. It’s also “off brand” (unless you consider Sceptre a brand, which I don’t). The set is nearly a decade old and is the only piece of technology my wife brought with her to the marriage. It’s not a smart TV. It’s not even a dumb TV. It’s barely a TV at all. It has more analog connections than digital ones, and just one HDMI port. USB? Nope. If Google Chromecast can work on this TV, then it’ll work on any TV. The good news: The HDTV’s sole HDMI port was free since our DirecTV box has to use component video cables (for reasons I won’t go into here). The Chromecast requires a separate power source, though. You can either plug it into a USB port or into a wall socket. But the nearest wall socket was too far away and the TV didn’t have USB. So what did I do? I used the USB port on the DirecTV box. 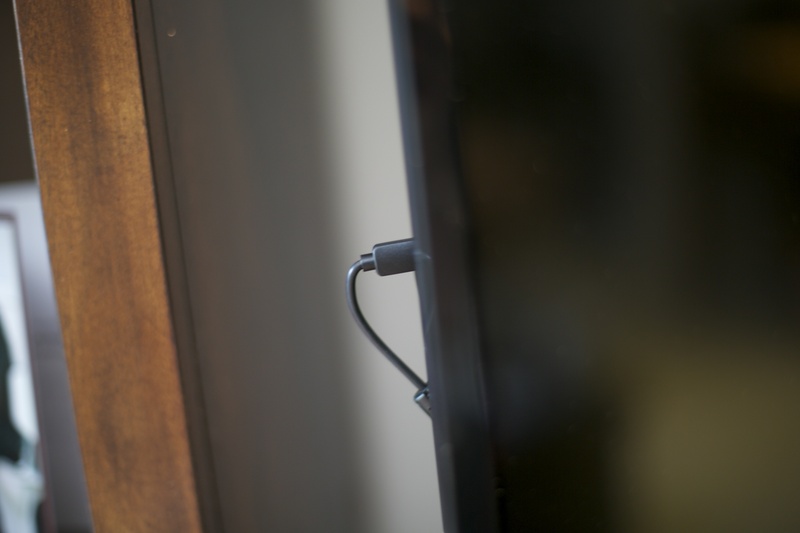 The Chromecast ONLY needs USB for power, so just about any USB port on any device will do. So I powered Chromecast up, opened my laptop, and downloaded the Chromecast software needed to set it up. The laptop found the Chromecast and the set-up wizard began doing its thing. Before the Chromecast goes onto your wifi network, it first sets up it’s own mini wifi network. 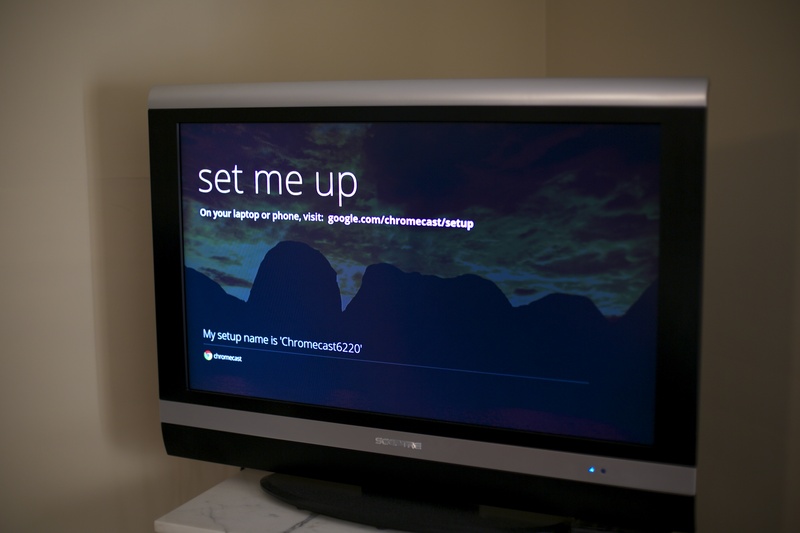 The set-up software will temporarily take your computer off your home wifi network and put it onto the Chromecast’s mini-network, so they can talk. Pretty smart. The set-up wizard is very good at explaining what’s going on. At no point are you left to wonder what’s happened and if you should be doing something. So far, everything was working just like it should. When it came time for the Chromecast to finally put itself onto my home’s wifi network, the Chromecast couldn’t find it. The signal was strong on all other wifi devices in the room — laptop, iPhone, and Blackberry — but the Chromecast couldn’t pick up a wifi signal at all. Thinking the Chromecast might simply be broken, I hooked it up in the family room, to see if it would work there. The Vizio in the family room had a nice empty HDMI port right next to a USB port. Very convenient. Not-so-convenient? The fact that the dongle wasn’t completely hidden by the TV’s bezel. As you can see above, the USB cable couldn’t help but protrude a bit. The good news? In this room, the Chromecast had no problem finding a strong enough wifi signal. Everything was good to go. And it worked as advertised. Apps with the ability to “cast” built-in, worked great, even on my iPhone. (Note: There are only a handful of supported Apps at the moment.) From a computer, web pages with video and audio can add a “casting option” which will send content directly to the Chromecast, just like the mobile apps do. Netflix.com and Youtube.com already have this ability. Others, like the Washington Post website, have already announced plans to incorporate this ability soon. But you don’t NEED the web page to be optimized for Chromecast for it to work. It’s only a “beta” function at moment, but the Chromecast is able to “mirror” a Chrome browser window on your computer. 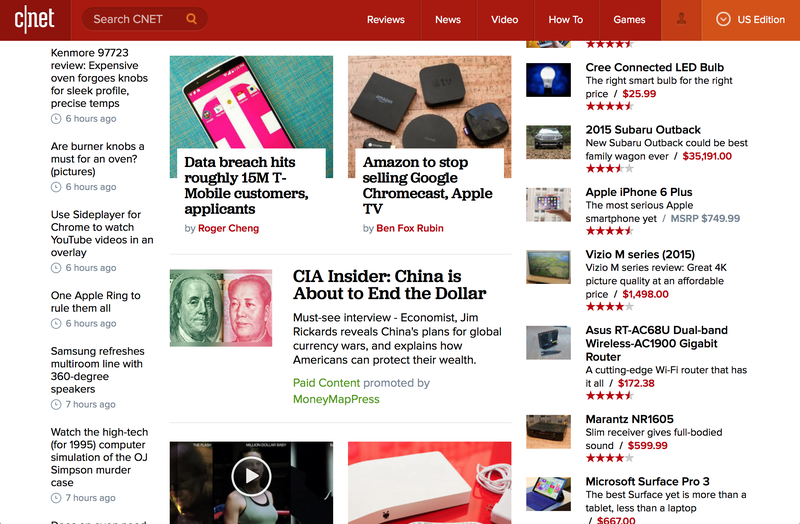 This will allow you to send almost any web-based content to your TV. I was expecting the feature to be rather buggy, but it actually worked well despite its limitations. Every time I’d “mirror” a web page to the Chromecast, I’d get a white screen that wouldn’t go away until I hit the “cast” button a second time. I imagine this bug will be fixed in short time. You can only mirror a single browser tab at a time, but that’s understandable. To mirror an entire desktop would require some sort of integration into the OS itself. Maybe one day Android devices will offer that level of integration, but that day isn’t today. Or tomorrow. This is one area where the Apple TV has a clear advantage. 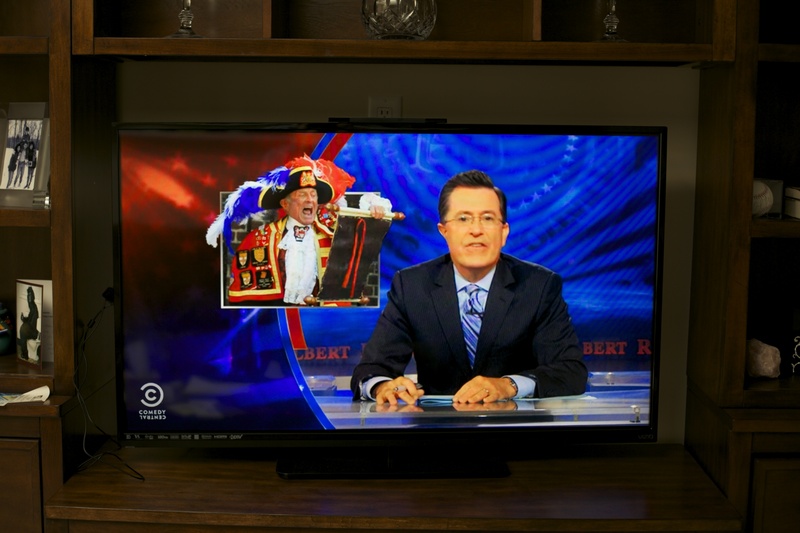 “The Colbert Report,” streaming off Hulu onto a TV via the Chromecast and a laptop. Watching Hulu on the Chromecast was as easy as going to the website in the Chrome browser, hitting the Cast button, and mirroring the browser tab on the TV. 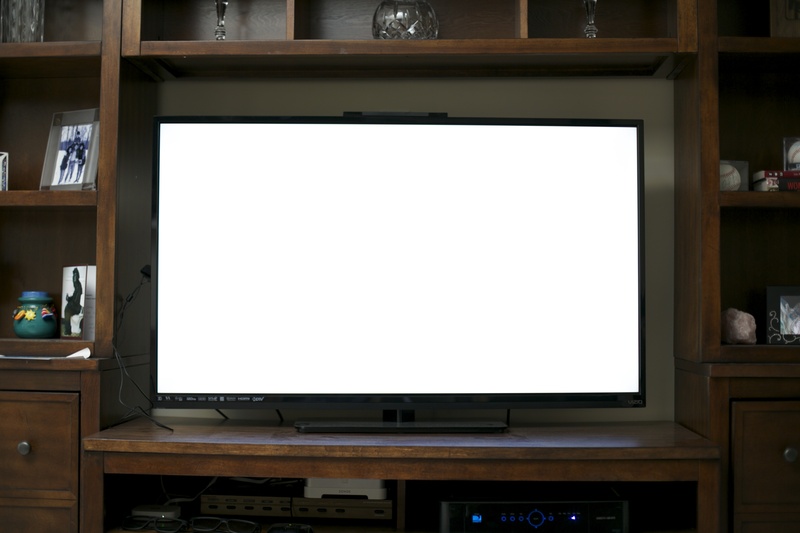 Once you’ve started watching a program, Clicking the “fill screen” button on your computer will also fill the screen on your TV (though I can see there being some aspect ratio problems arising here and there in the future). 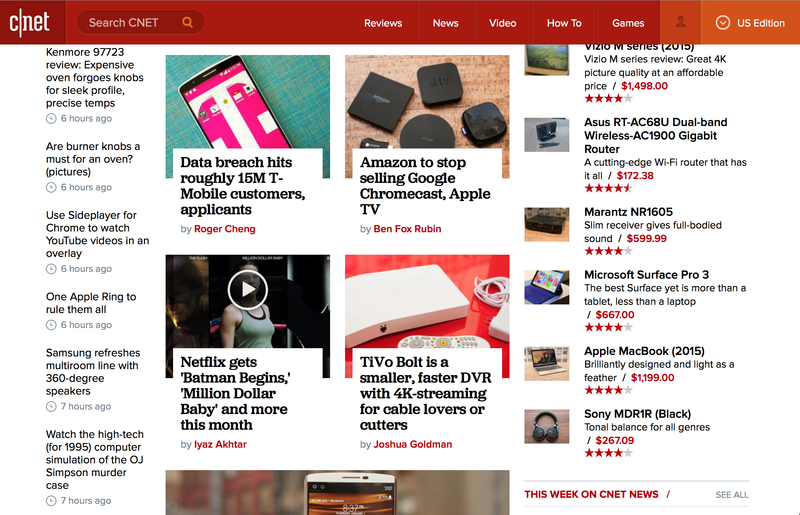 Unlike Apps or webpages optimized for Chromecast, in order to watch content “mirrored” from the Chrome browser, you have to keep the browser up and running. Anything you do to the browser tab will be reflected on screen. Now, the Chromecast isn’t made for streaming local content (i.e. music, videos, and photos stored on your hard drive). Google is more than happy to point that out. Yet if you point that out in a comment section on any tech site that covers the Chromecast you WILL get reamed by Google fans more than happy to tell you you’re wrong. They’ll say that local streaming IS possible. And they are sorta right. There is a trick to get local content to stream from a PC or Mac, but media content on your smartphone/tablet is completely off-limits. The trick for streaming content from your computer hard drive involves manually dragging the movie/music/whatever file to the Chrome web browser and then mirroring the entire browser window over to the Chromecast. I tried it with a very high quality video clip of my nephew playing basketball. Things weren’t perfect though. 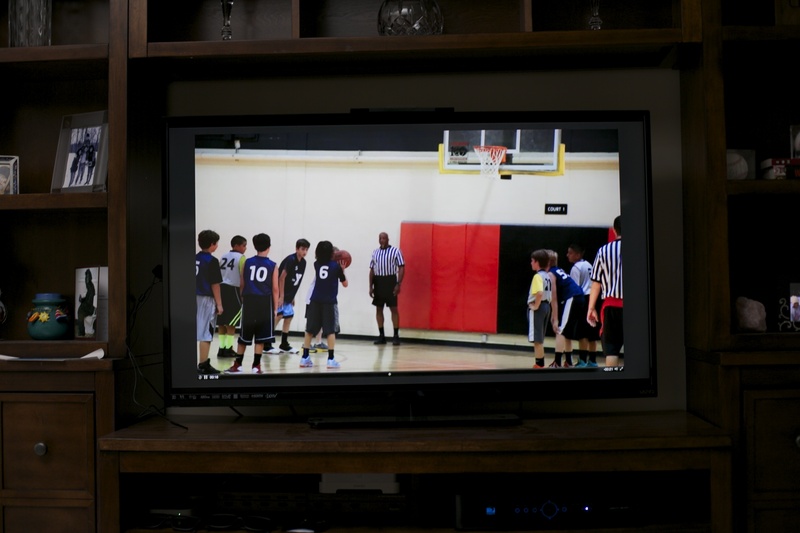 Compared to the Stephen Colbert clip, you’ll note that the basketball footage — despite being a 1080P file — doesn’t fill the entire screen. And nothing I did would rectify that. I also couldn’t get sound with this specific clip. Different file types will yield different results. Side note: This is another way that the Chromecast is like an Apple product. Frequently, it is possible to make Apple products do things that Apple doesn’t officially support (like jailbreaking an iPhone), but it’s always at your own risk. Local streaming is definitely an “at your own risk” feature. And it definitely feels like a “workaround” more than a feature. Results will vary. Greatly. Don’t buy a Chromecast expecting this to be something you can count on. And don’t believe anyone in any comment sections who tells you otherwise. Most of them don’t even own a Chromecast yet. Now, I said I bought the Chromecast specifically for watching Netflix, so let’s take a deeper look at that experience. 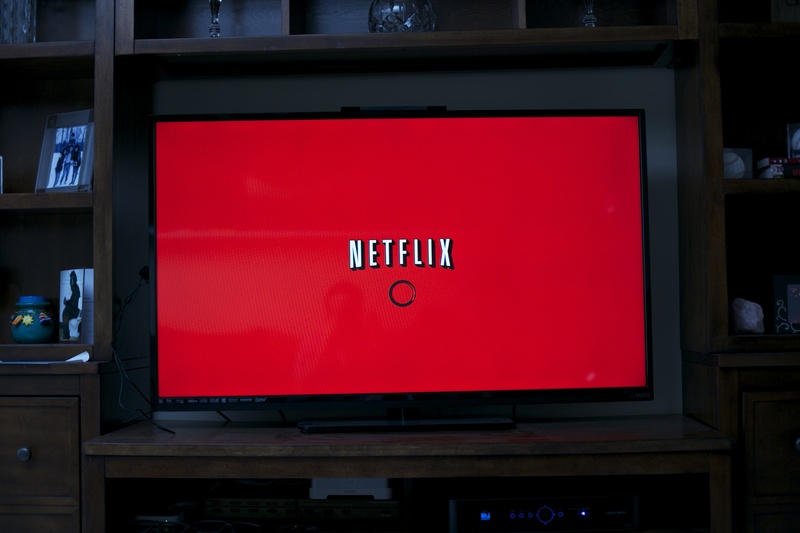 Unlike local streaming, Netflix streaming is something that Google is more than happy to promise will work without any limitations. 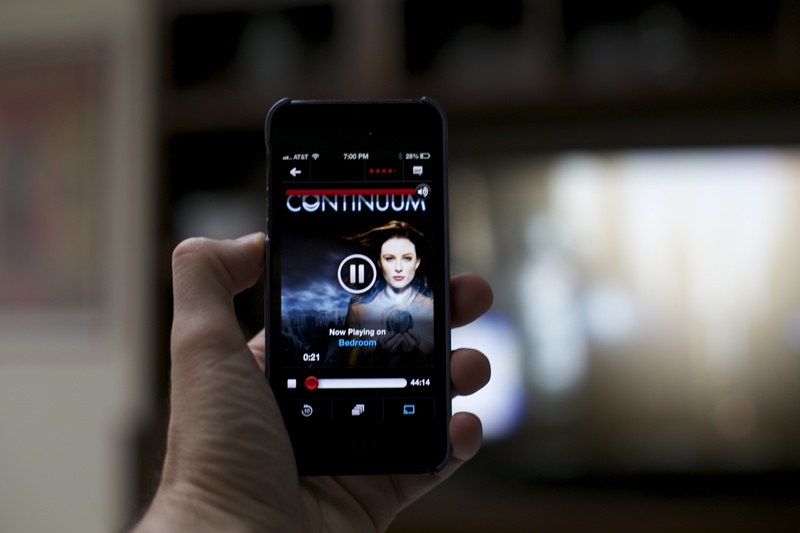 Whether from your browser or your mobile App, they want the Netflix experience to be seamless. I’m happy to report it is. Google clearly made sure there was nothing “beta” about Netflix performance. This is what it looks like when you cast a Netflix movie from your iPhone to a TV with Chromecast. Note: The Netflix app says it’s playing in the “Bedroom” beause that’s what I named this Chromecast when I first set it up. I was expecting to see two options: Watch it on my iPhone or watch it on the Chromecast. But I actually had THREE options of where to send the Netflix stream. I could watch it on the iPhone. I could watch it from the Chromecast (still labeled “Bedroom”), or I could watch it from the Vizio TV without the need for any intermediary devices whatsoever. I knew Netflix was built-in into the TV, but I didn’t know that it would communicate with a mobile App. This is a Netflix/Vizio feature I never knew existed. Thank you Chromecast for pointing me towards a useful special feature I already had. The irony, of course, is that the discovery of this feature is yet another reason why I don’t need Chromecast in this room. You’ll now note that the App says it’s playing on the Vizio DTV. And it is. 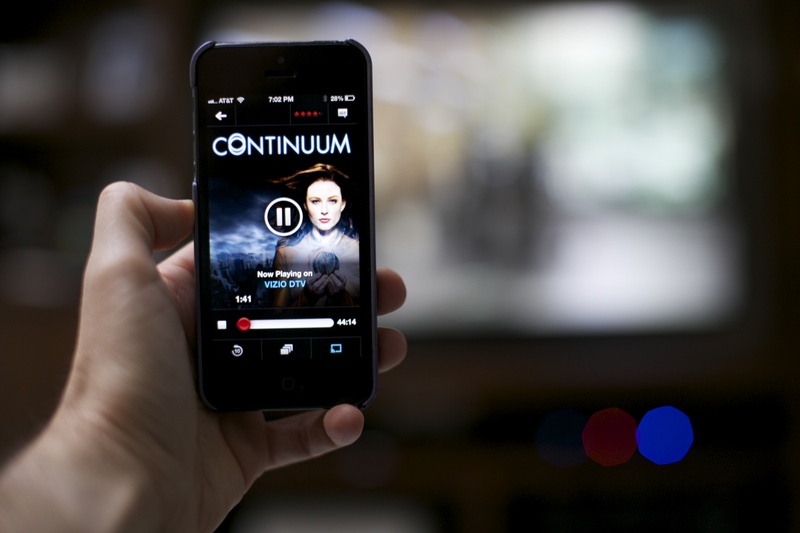 With the push of a button, the Vizio’s built-in Netlix App opened automatically and started playing the video where it left off on the iPhone. No Chromecast needed. The Apple TV’s ability to use any HDTV as an external monitor for your computer is a feature you won’t find on any $35 dongle. As for you? If you have a room with a “dumb TV” and have been looking for an easy way to get loads of online content to it, the Chromecast is definitely worth a try. The good news: It’s never been easier. The bad news: It’s never been more confusing. It used to be simple: if you wanted to wire your whole house for audio, that’s exactly what you did — you wired your whole house for audio. Now, wires are entirely optional (if not still preferred, see below). 1. Just wear earbuds. For ten bucks, you can get a pair of perfectly fine earbuds at your local drug store. Plug ’em into your favorite portable audio device and, boom, you’ve got music wherever you go. You can even take the music OUT of the house! The only downside? The inherent danger of walking around with a loose cable dangling from your neck. Get it snagged on a doorknob and you can snap your head off. Also, sharing music is tough if you don’t have a great singing voice. 2. Embrace Bluetooth. For less than $50, you can get a Belkin Bluetooth Receiver that plugs into any stereo and wham-o, you can wirelessly beam audio from your iOS/Android device to whatever sound system you already have. The downside? This isn’t a solution for sharing the same audio throughout multiple rooms (not a strongpoint for Bluetooth), so it doesn’t exactly qualify as a “whole home” experience. But if your smartphone is your main music listening device, this is a great way to get the music onto your stereo without spending (at least) twice as much to get a new stereo just because it has bluetooth built-in. 3. Embrace Airplay. Airplay is very different from Bluetooth. It’s Apple’s standard for wirelessly sharing audio (and video) across multiple devices. The chief benefit over Bluetooth? 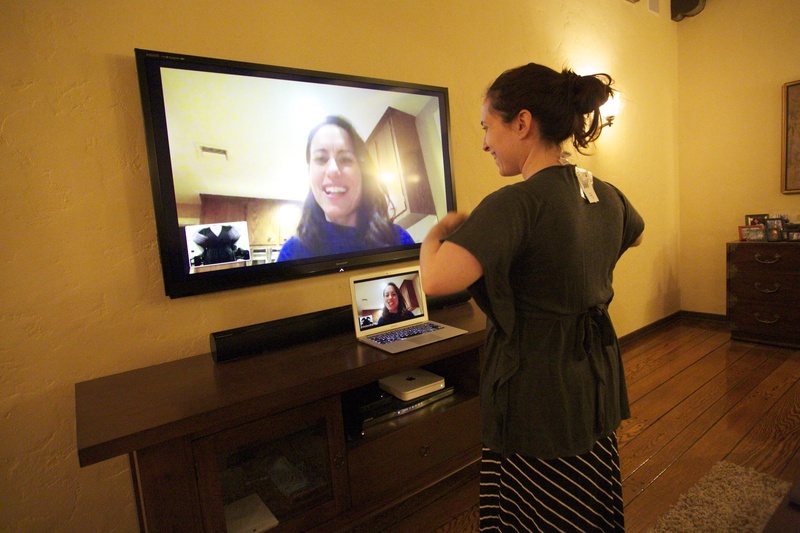 You CAN share the same audio source across multiple rooms at the same time. From any iOS device (or computer), you can send music to any room(s) with an Airplay compatible device. The set-up is super easy — you just need to make sure all the devices are on the same home network. That’s it. Great for parties. The downside? If you don’t already have a Mac or an iOS device, you’ll probably have to get one. Sidenote: An Apple TV is a great way to share music from your iOS device (or Mac) to your TV’s speakers. 4. Sonos! A few Sonos devices can create a wireless blanket of sound across your home using neither Bluetooth nor Airplay. What is Sonos? Click here for a better summation than I could ever provide. Sonos is now the go-to system for distributing audio throughout people’s home, from non-tech savvy folk who seek simplicity to high-end customers planning to shell out tens of thousands of dollars on their media rooms. How does it manage to fit both niches? Because it’s currently the only game in town for what it does. It’s also very flexible. You can go crazy and spend thousands of dollars for ultimate customization, or you can keep it simple and still do some cool stuff for $500 or less. The Sonos iPad App allows for tremendous, user-friendly customization. Every device that Sonos makes comes with the ability to talk to other Sonos devices. They also come with their own built-in software to access your favorite internet radio options (Pandora, Spotify, Amazon Cloud Player, etc.). That means set-up is minimal. You literally plug them in, turn them on, then use your tablet/computer/phone to tell it what you want to listen to. If you own two or more Sonos devices (up to 36, I believe), they’ll form their own invisible network you never have to deal with. If you already have a home with speakers wired into the walls, you can buy a Sonos Amp for each speaker set and let Sonos do all the heavy lifting, connecting all the rooms together. There’s no need for a receiver of any kind, unless you really want one (like if you want to share audio from a home theater). For most people, the combination of Pandora, various internet radio stations, and whatever music they have on their own devices is enough, and Sonos can handle all that on it’s own. If you don’t have any speakers already wired throughout your home, that’s not a problem. Most of Sonos’s products are speaker systems with connectivity baked in. You can easily place one on a bookshelf or kitchen counter without drawing any undue attention. Their cheapest HiFi music player starts at $300, though, which is more expensive than comparable Airplay-compatible sound systems. My overall recommendation? If you’re starting from scratch and have the money, wiring speakers is still the classiest thing to do. And it’s actually not that expensive these days. Just don’t let the installer try to upsell you on speakers. That’s the biggest cost. Speakers for a kitchen or a dining room don’t need to be terribly expensive because the rooms themselves aren’t built for sound. No point in splurging on high end speakers if you’ll never hear the difference due to acoustics. If you’re good at following directions, you might even be able to install speakers yourself. Pulling wire through an attic or crawlspace is easier than it sounds. When I first moved into my house, I hired custom installers, but after watching them I realized: “Hey, I can do that!” And then I did. Pulling wire through a crawlspace under my house might be dirty work, but it’s free! Anyways, once the speakers are installed, whatever closet (or cabinet) houses the ends of the cables is where the Sonos Amps will go. A typical set-up is one amp per speaker set per room. If you have the money and/or time, it’ll be well worth it. This closet contains all the Sonos equipment you need to run the audio for an entire house. If wiring speakers throughout your house sounds like a hassle or isn’t an option, then I’d recommend looking at what you already have, then building a sound system around those. For example, if you already have an iPhone, iPad, or Mac, then just get an Apple TV ($99) for any room where you have a TV and an Airplay compatible stereo for any room that doesn’t. 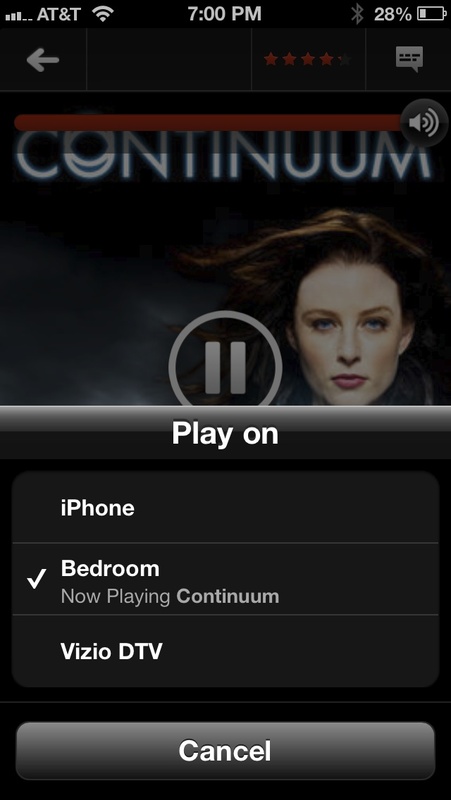 And if you’re an Android/Windows user… then I’d still recommend going the Airplay route. For example, here’s a cool primer on three apps that’ll allow Android and Windows users to utilize Airplay. Before you do anything, though, I’d just ask this… WHY do you want the ability to listen to music throughout your whole home at the same time? If you entertain a lot, then, sure, spend the money and make it happen. But, seriously, if this is just to listen to music while you do housework, then just buy a pair of good headphones. Or even earbuds. I figured a good place to start was just unplugging every device on the network, then plugging them in one-by-one. If the router is confused by wrongly-assigned IP addresses, this generally takes care of it. The process took about 15 minutes. The end result: Every device on the network worked just fine, except the Sonos system. Darn. But the Sonos Controller was giving me a very specific error message. So that’s good. Error messages might scare most people, but they shouldn’t. The more specific the error message, the more specific the fix. This is where Google (or Bing) can be a lifesaver. The error message sent me to a specific section on the Sonos help site. So I figured it couldn’t hurt to follow their advice on how to remedy the situation. I was wrong. It hurt a lot. Another 1/2 hour was gone. Thanks, Sonos! So then I decided to take a look at the home network itself. I noticed that all his wireless routers (it’s a big house, so he had several) were running out-dated software. So I updated them. Another 15 minutes went by, but it still didn’t fix anything. 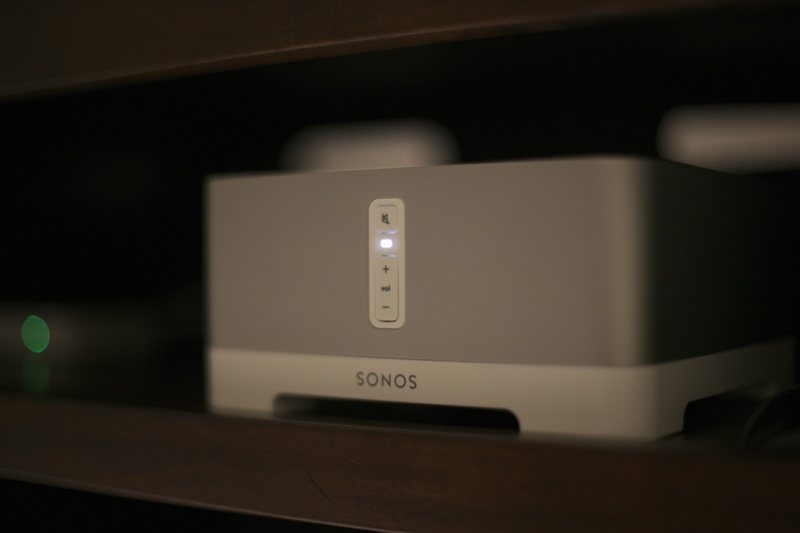 So then I finally did what I should’ve done when I first got there — on a hunch, I swapped out a single ethernet cable that was connecting the main Sonos device to the router. And that did the fix. Do ethernet cables go bad that often? No. 7 times out of 10, a network problem will be software related. And if it is hardware related, it’ll be a device that’s gone bad, not the cable. 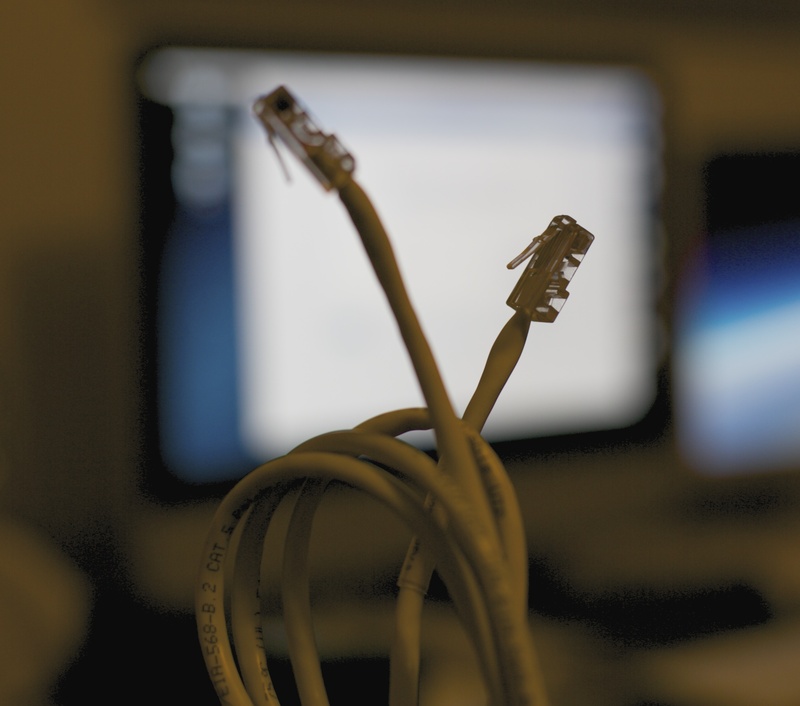 Even bad cables have a better failure rate than even the most reliable electronics. But this time it WAS the cable. And the next time I have less than an hour to troubleshoot someone’s network problem, you better believe the first thing I’m going to do is swap out all the cables. There’s nothing worse than staying in a bad relationship way past it’s natural expiration date, yet that’s what always winds up happening. We worry we can’t find anything better. We focus too much on the few good times, not enough on the multitudes of bad ones. We deceive ourselves into thinking things will get better. I’m here to tell you can do better. I’m here to tell you that things don’t have to be this way. I’m here to tell you how to break up with your cable company.